Have you suffered a minor head injury in an accident that wasn’t your fault? Whether you suffered a minor head injury in an accident on holiday, an accident at work, a road traffic accident, or any other type of accident, if it was caused by the negligence of another party, you could be entitled to claim thousands of pounds in compensation. We are Legal Expert, a trusted legal advisory service and we help victims of minor head injuries claim the compensation they are entitled to. Call Legal Expert today on 0800 073 8804 for your free consultation. We will advise you on whether or not you have a legitimate case for compensation, estimate how large your settlement could be and match you to an expert personal injury solicitor in your area, who can help you win your case for compensation. In this case study, we are going to look at the case of Mr G (whose name we have abbreviated for reasons of confidentiality) who suffered a minor head injury in an accident on holiday. Mr G was 51 at the time of his injury, which occured in 2013 when he was on holiday at an overseas beach resort. Mr G was on the beach when a parasol was blown out of its base and struck him on the crown of his head. After his head injury took place, Mr G was taken to the local health centre where he sought minor head injury treatment, including treatment for the cut which the parasol had left. Six weeks later after Mr G had undergone a period of minor head injury recovery time, he was left with a 3cm scar on the crown his head where the cut had been, which was highly visible as his hair no longer grew over the scar tissue. He was left with no other minor head injury symptoms. Unfortunately some 4.4. million Britons have recently suffered a holiday accident abroad. These accidents range from cuts and bruises to food poisoning and minor head injuries. As well as affecting the victim’s enjoyment of their trip and their health, these accidents on holiday have also cost the sufferer at least 1 billion in medical expenses. Depending on the laws and regulations of the country where you had your accident, claiming compensation for an accident on holiday abroad can be a complicated process. Therefore it is imperative that you hire an experienced personal injury solicitor when you make an accident claim, who can ensure you get the compensation that you are entitled to. Please read our guide on claiming compensation for accidents on holiday abroad for more information. Mr G (the Claimant) decided to pursue personal injury compensation against the holiday company (the Defendant) on the grounds that the parasol that struck him on the head was faulty and shouldn’t have been able to come loose. He worked in a customer facing job, so was disappointed to be left with a visible scar and the effect it could have on his career. The allegation was made that under the Package Holidays and Package Tours Regulations 1992, the holiday company had been negligent and had breached their duty of care towards Mr G as a customer. Fortunately, the Defendant admitted liability. Mr G was awarded a settlement of £6,000. The settlement took place out of court. You can hire a no win no fee solicitor to help you claim compensation for your minor head injury, including the costs of your minor head injury treatment. By choosing a solicitor that offers a no win no fee service, it means that you will only have to pay the solicitor’s fees, if you win your case, removing any financial risk to you. We can match you with an expert no win no solicitor to handle your case. Contact us today to enquire about making a no win no fee claim today. Whether you have suffered a head injury, minor head injury, your child has suffered a minor head injury or a bump on the head, if someone else’s negligence caused your injury, you could be entitled to claim compensation. Legal Expert can match you to the right personal injury solicitor to handle your case, at no extra cost to you. Call us today to start your minor head injury compensation claim, or fill out our online claims form. Help and advice for claimants wishing to claim compensation for a head injury, including advice for hiring a personal injury solicitor. How Much Compensation Can I Claim For A Holiday Accident Abroad? Help and advise for Claimants who have been injured in an accident abroad? 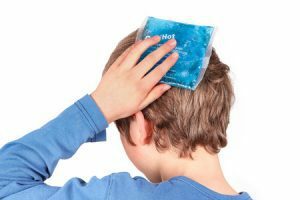 A minor head injuries NHS guide, including minor head injury treatments, minor head injury symptoms and when to worry if you have a minor head injury.